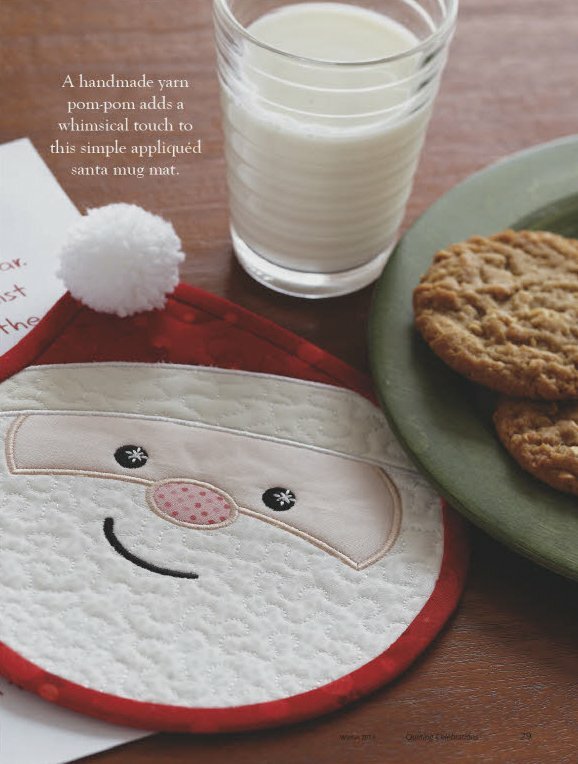 Use this file to stitch an 8" round Santa mug mat, hot pad or trivet. How about adding a white pom pom to the tip of his hat? Great for holiday gift-giving! The meander quilting is also stitched for you in this digitized design. Circles are also quilted in Santa's hat. Includes a .pdf file showing stitch order.